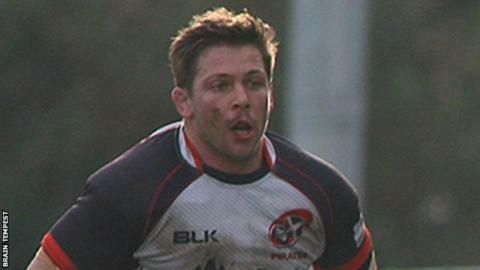 Cornish Pirates captain Chris Morgan is likely to be out for at least six weeks after dislocating his shoulder. Morgan was hurt in the opening minutes of his side's 17-15 defeat by Jersey and will see a specialist on Monday. "We don't know if there's any ligament damage, but it's going to be six weeks minimum I would suggest," director of rugby Ian Davies told BBC Sport. "He's the captain and it means we'll have to rally round. Paul Andrew will step up as captain in Chris's absence." The Pirates have also been hit by news that number eight Jake Parker broke a bone in his foot during the match. "It's a blow for Jake," added Davies. "Last year he broke into the side and broke his thumb. This year he's broken his foot, so he's really unlucky." Is English rugby just for posh kids? Read more on Rugby World Cup: Is English rugby union just for posh kids?